A man and a woman are both in critical condition. 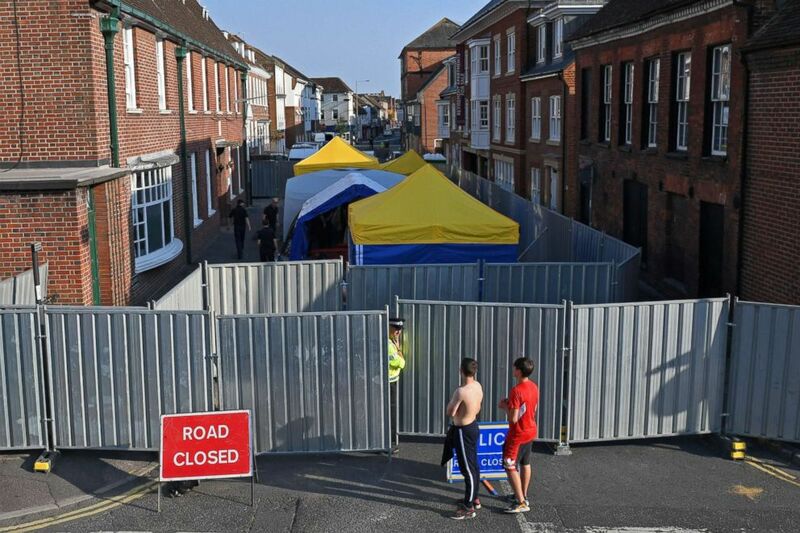 Wider cordons have been set up around the town of Amesbury in Wiltshire, England, along with metal barriers protecting hazardous material tents, after a couple was believed by authorities to have been poisoned by a nerve agent last Saturday. The man and the woman are both in critical condition and are receiving treatment at Salisbury District Hospital, where former Russian double-agent Sergei Skripal and daughter Yulia were treated after they were poisoned by a nerve agent in March in Salisbury. British investigators believe the Amesbury pair have been infected by the same nerve agent, a Soviet-developed compound from a group of nerve agents called Novichok. 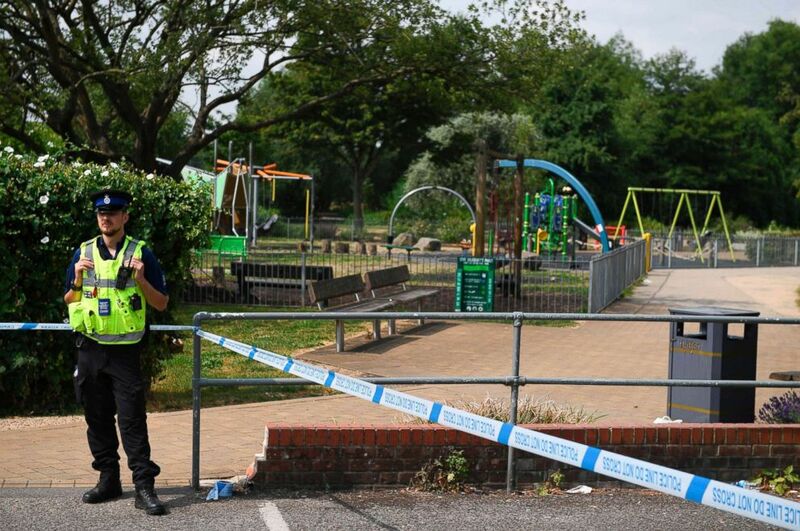 (Chris J. Ratcliffe/AFP/Getty Images) A police officer stands at a cordon by a play park at Queen Elizabeth Gardens in Salisbury, southern England, on July 5, 2018 cordoned off in connection with the investigation and major incident declared after a man and woman were found unconscious after exposure with what was later identified as the nerve agent Novichok. The Associated Press has identified the couple as Dawn Sturgess, 44, and Charlie Rowley, 45, whose identities have not been released by authorities. Police do not believe that the Amesbury pair were deliberately targeted but are still investigating whether there is a link to the Salisbury poisoning. (Chris J. Ratcliffe/AFP/Getty Images) Work goes on behind the barriers across Rollestone Street, outside the John Baker House Sanctuary Supported Living in Amesbury, southern England, July 5, 2018, in connection with the investigation after a man and woman were found unconscious in circumstances that sparked a major incident after presumed contact with what was later identified as the nerve agent Novichok. Authorities are searching several locations in Amesbury and Salisbury, which are about 9 miles apart, for where the pair may have come across nerve agents. Officials are working to determine whether they were exposed to a new batch of Novichok or whether they stumbled onto the same materials used to poison the Skripals. The search to determine the means and locations of the latest exposure has compelled police to close off additional locations around Wiltshire, including a pharmacy, a park, a church and several areas in Salisbury such as Queen Elizabeth Gardens and a homeless shelter. A March assessment by the British government found that the Russian state was most likely responsible for the Skripals’ poisoning. The Kremlin has consistently denied the British accusations. 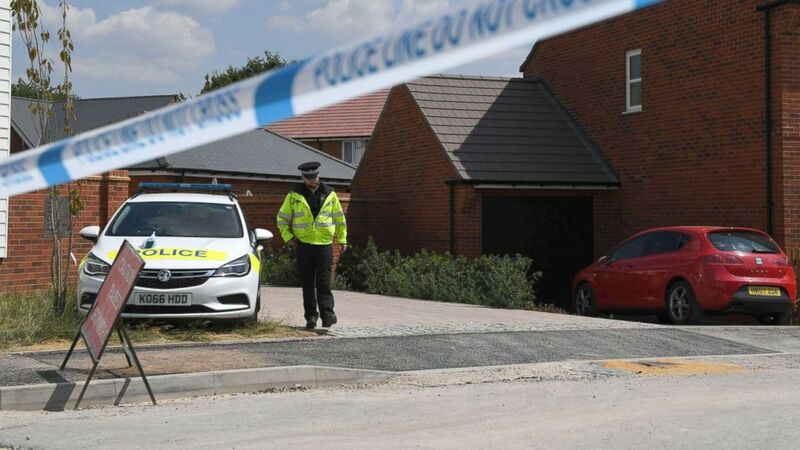 (Chris J. Ratcliffe/AFP/Getty Images) A police officer guards a cordon at a residential address in Amesbury, southern England, July 5, 2018, where police reported a man and woman were found unconscious in circumstances that sparked a major incident after contact with what was later identified as the nerve agent Novichok. If the Novichok was from a previous batch, Mirzayanov told ABC News, it would have had to have been stored in a secure vial or container, which may have been picked up by the Amesbury couple and caused them to fall ill. The agent is so potent that only a small amount would be needed to cause death, he said, adding it could remain deadly after several years if stored in a secure environment.